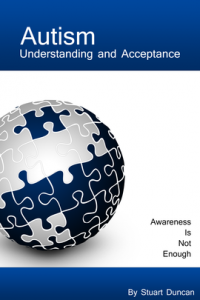 Free eBook for Autism Awareness Day – Autism Understanding and Acceptance! For today only, April 2nd, Autism Awareness Day, I am going to give you the opportunity to download a copy of my ebook for free! Written as an effort to move people beyond simply being aware to where they can truly understand autism, the people and the affect that autism can have on those people, hopefully to a place where there can be, finally, acceptance. It’s full of intelligence, soul, heart, and compassion. It’s a wonderful gift to the community. Acceptance is such a powerful thing… it’s far more than just believing the diagnosis… it’s empowering, it’s life skill building, it’s a source of pride, it’s a confidence booster, it’s enlightening…. Acceptance is not giving up. Acceptance is not saying something you don’t really believe. Acceptance is a place. It’s a moment in time. It’s a destination that will set you on an entirely new path, a beautiful path. It’s the end of negativity and the beginning of limitless possibilities. Acceptance is the door that you need to open… step through and close behind you. Move forward with your child, not against your child. Your child can be perfect. All you have to do is believe it. Because they are. Now, you too can read this book, free of charge, for today, April 2nd, Autism Awareness Day. Also, I encourage you to share this book with friends and family that may struggling to really “get it”. Perhaps this will help. Download in the format you need: ePub, MOBI, PDF. If you really like this book, any help with encouraging sales (after today) would go a long way to helping me support my own family. I hope you enjoy the book. Thank you for your interest. 2 Responses to Free eBook for Autism Awareness Day – Autism Understanding and Acceptance! Thank you so much for sharing this book. I am going to recommend it to my grandson’s teachers. So many people are unsure of what autism is and either trivialize it or fear the individual who has it. My grandson has many challenges ahead of him, as he is only 5, but thanks to you and caring others, there may be less of a stigma associated with this. God Bless you.